It's time to plant your garlic. In fact, you should have planted it a week ago; in the week leading up to Anzac Day. It's the best (and easiest) cash crop you can grow at home. Typically each year I save about $200 off my garlic bill. I never have to buy garlic and frown on that nasty white and tasteless bleached 'garlic' imported from China. Plant now and harvest just before Christmas. After harvest, tie the stalks together with twine and hang in the garage to store for the next 12 months. Unley Council has endorsed its draft Annual Business Plan and Budget for consultation with the community. The emphasis has been on keeping the rate rise low; estimated at 2.8%. What worries me is the forecast borrowings of $16m by June 2018. I believe that it's time to reconsider the cost of hosting the Tour Down Under street party on King William Road (KWR); the event net cost of $266k would be better spent paying off the growing debt. That's what people do at home in managing the house-hold budget. On the night Cr Michael Hewitson described it as a good and sound budget. He suggested that the debt (of $16m) could be reduced to zero over 5 years if Council spent zero on new capital; with no new projects. A totally fanciful statement. It will never happen. Reducing the debt must be started now by cutting expenditure. It is timely to seriously review the merit of hosting the KWR street party. Spending in excess of $1/4m in these hard times is obscene. Today I met a woman; she is 51 years old and interested in running for Unley Council in 2018. It was a brief meeting, but I was impressed by her and convinced that she would make an excellent Councillor. She asked me what was the average age of the Councillors. I've just done the maths and the average age is 66.4 years. If you recall an earlier blog, I'm also guessing that after the next election there will be 7-9 new faces on Unley Council. My fellow Councillors say that I'm wrong and that there will only be 6 new faces. As always, I stand by my forecast. At the Unley Council meeting held on 27 March 217, Councillor Jennie Boisvert had a question on notice regarding costs associated with an investigation into high-rise apartments on the Unley Village Green. There had been limited expenditure, other than a trip by Elected Members to Lane Cove (Sydney). At the Unley Council meeting held on 10 April 2017, it was resolved to give $10,000 to the Hyde Park Tavern (on King William Road) to assist the pub with its $370,000 renovations. The hotel had requested $35,000 from Council. Doesn't pass the pub test! The motion to grant $10,000 was moved by local Councillor Michael Rabbitt. The Mayor, Lachlan Clyne moved an amendment to grant $20,000. There was considerable debate and concern about providing any funding to the hotel which was described as 'struggling'. If it is really struggling then how the heck can it afford a $370k re-development? I did not support any funding. Councillor Rabbitt's motion to grant $10,000 was successful. This will mean that our draft budget for 2017/2018 will need to be revised to slash $10,000 of other services that could be spent in our streets. The rates of 10 residents will be used to fund this unwise expenditure. Just back from Coonawarra, in SE South Australia. Good country; fabulous red wines. A nice break from life in the city. 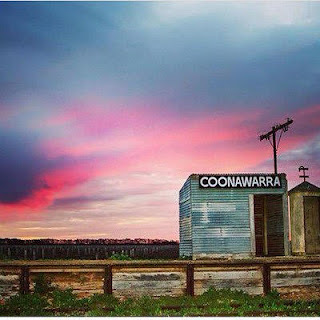 Coonawarra is a small town and only has one shop. A must do when in Coonawarra is to visit the now defunct train station; a reflection of a bygone era. Autumn - it's a glorious time of the year. The pomegranates and quinces are ripe and begging to be picked and devoured. On Saturday I picked a bucket of pomegranates and squeezed the juice. On Sunday I picked a bucket of quinces and set about making jam. Prepare a bucket of quinces. Add cored and peeled pieces to a large bowl of cold water to prevent discolouration. Drain and place in a large heavy base pot. Add 250ml of pomegranate juice. Unfortunately I didn't have any rose water. Next year! Several large teaspoons of ground cardamom. 10 smashed cardamom seed pods. Unley has a number of strategically placed Wildlife Boxes at various locations within the City to support the breeding and habitat survival of our local fauna. Each year, as part of an environmental initiative, Council is provided with a report on the outcomes, success or otherwise of fauna use. As part of this monitoring process, each box is assessed for any changes that have taken place and to determine whether possible maintenance issues have arisen. This process is required to ensure that the wildlife value of the boxes are maintained and that public safety is observed. The Unley Central DPA was finally debated and determined by Unley Council on Thursday 30 March 2017. The minutes record the outcome of each motion and amendment and how individual Councillors voted. It makes interesting reading. Here’s a link to the minutes followed by a copy of the minutes.